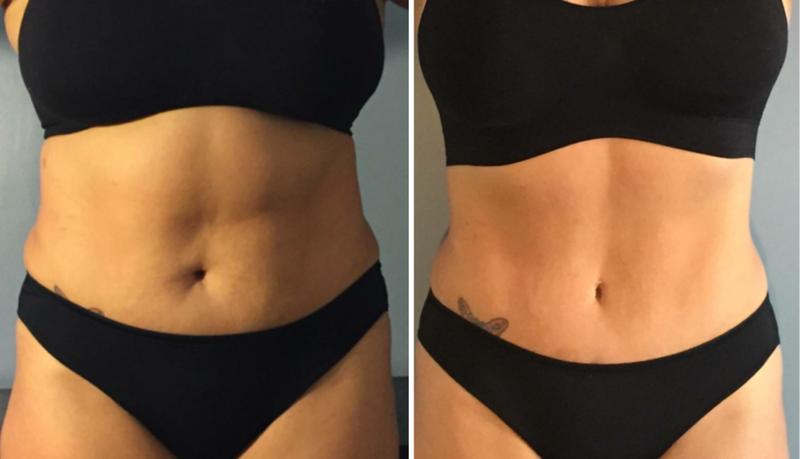 Laser lipo light offers effective, natural non-invasive lipolysis and works great with complementary add-on treatments to further enhance results. Lose at least one inch from day one. Every session includes your choice of an herbal slimming wrap or vibration therapy. Fat loss gets amplified with complementary therapies! Sweat it out and burn an additional 400-600 calories with an infrared sauna wrap (45 minutes), detox and soothe sore muscles with my take home re-mineralizing and detoxifying bath soak with aromatherapeutic herbs, or add an energetic diagnosis and healing treatment to uncover the root of any potential body issue and rebalance from the inside out. For more information about LLLT / Cold Laser / and Red Light Therapy, please visit LEDPhototherapies.com. Interested in purchasing this awesome technology? Use code bodysoulandbeauty and receive 15% off any LLLT wellness device at LEDPhototherapies.com. Gloria, above, after sessions 2 days a week for 6 weeks in conjunction with 20 minutes of walking and increased water intake on treatment days.